"The venerable Cotique existed at the juncture where Afro-Caribbean music met the rootsy sounds of soul and R&B that blossomed in the United States during the '60s and '70s. Some of the finest albums in the boogaloo and Latin soul genres were recorded for this label, including sessions by Joe Bataan, Johnny Colón and Larry Harlow. Cotique's product was marked by a refined aesthetic and unerring good taste -- consider Machito's foray into R&B idioms on the Soul Of Machito LP. The label was also wise enough to invest in down-to-earth salsa, recording New York's ultimate barrio orchestra, The Lebrón Brothers. The Lebrón Brothers celebrated their 50th anniversary in the business in 2016. Their career spans five decades of doing things uniquely and uncompromisingly in their way: making funky, gritty, streetwise and relentlessly swinging music that mixed Spanish lyrics, Latin tunes and English-language R&B/soul-oriented numbers. 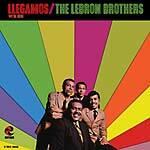 'Lebrón Brothers are the only other band (besides Willie Colón) to arrive during the boogaloo era and survive long after boogaloo was dead and buried,' comments Ray Rosado, leader of Maña. 'I believe that for these two bands, boogaloo was merely a means to an end.' 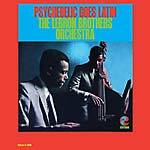 Originally called Angel Lebrón and his Orchestra in 1965 (co-founded by Puerto Rico-born brothers Angel on bass and José Lebrón on piano,) they changed their name to Lebrón Brothers at the suggestion of George Goldner (1918-1970) when they signed to his Cotique Records label during the peak of the 1966-1969 boogaloo craze. The eldest, Pablo Lebrón, sang Spanish lead vocals with the band until 1981 -- when sadly, he suffered a stroke. Between 1967 and 1982, the band recorded 16 albums for Cotique, during which time brothers Carlos and Frankie joined on bongo and conga, respectively. The multitalented José and Angel wrote and arranged most of the material. Fania Records took over Cotique in the early '70s and drafted star bandleader Larry Harlow to produce one of the band's albums and Johnny Pacheco, the label's co-founder, to produce another three. Reportedly, Fania boss Jerry Masucci (1934-1997) tried to persuade the Lebrón Brothers to replace Pablo with a younger, thinner white lead singer. Proud of their Afro-Boricua heritage, they resisted and were consequently excluded from major industry opportunities. Angel and José eventually took over the reins of production on the band's 14th Cotique release in 1980, and Angel took the producer credit on the remaining two albums for the imprint (Frankie produced a one-off return to Cotique in 1998). 'On all of their recordings, the coro is precise, the swing formidable and the message is both timely and seemingly prescient. That's more than enough to make up for whatever naïveté one might observe in their recordings at first blush,' says John Walsh, trumpeter with the Grammy Award-winning Spanish Harlem Orchestra, who began playing with Lebrón Brothers in the mid-'80s. 'And then there's the vibe. When they walk on stage, they made their presence felt: five or six of them, not one under six feet or less than 225 pounds!'"